According to my wife, I spent way too much time and money on films and cameras and … film cameras … and films and cameras and … well, you get it. One of the most frequent questions I get is what cameras I use, and in my previous blog statistics l’ve noticed that some people have googled this question lately, so here is a little line up of the different cameras I always use. 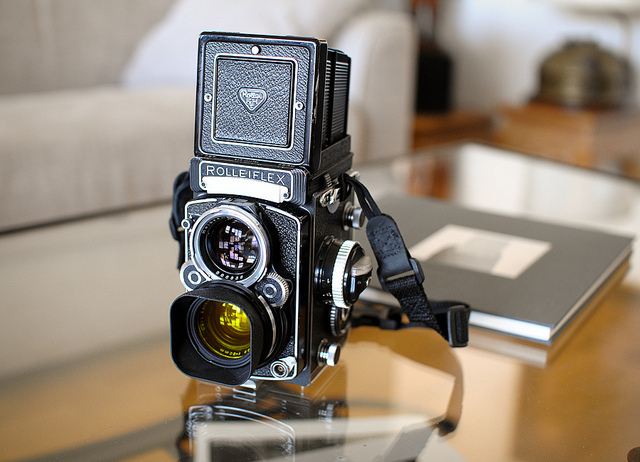 The most frequently used is the Rolleiflex, a 2.8F from 1966. It is, with the Hasselblad, my all-time favorite camera (as you might have noticed). It takes regular 120mm film, it has a weirdly enough efficient light meter (which I do not use) and it is completely manual. 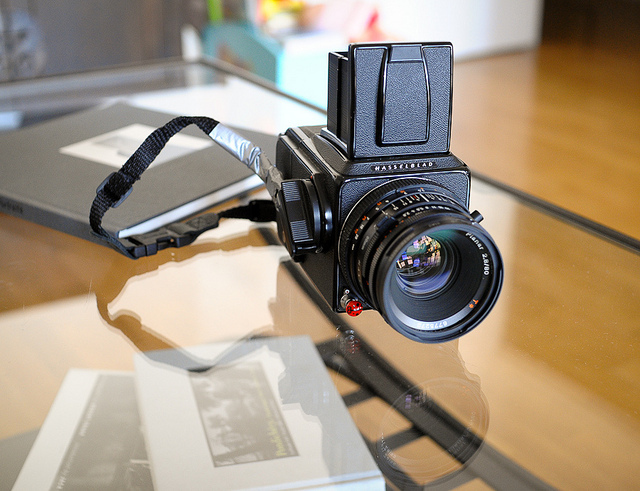 Then, the Hasselblad, a 500CM with a 80mm. It was my first « serious » camera and honestly, I would not depart from it in any way. It is rock-solid, efficient, simple. All manual, no battery needed… a gem. 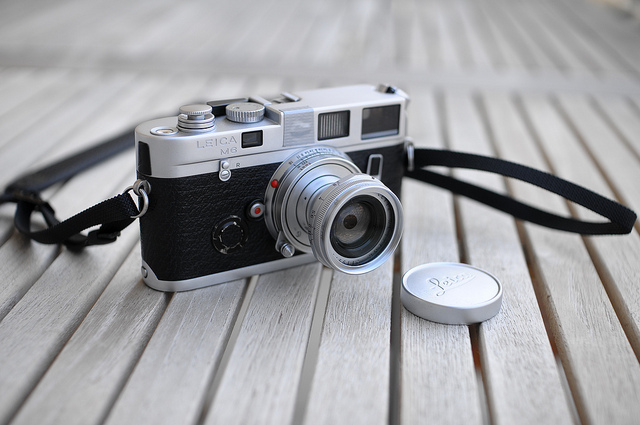 When I need to travel light, I take a Leica M6 with an old Elmar 50mm f/2.8. Even though I am not a fan of the 35mm format, this set is without a doubt the most efficient and discret, travel wise. 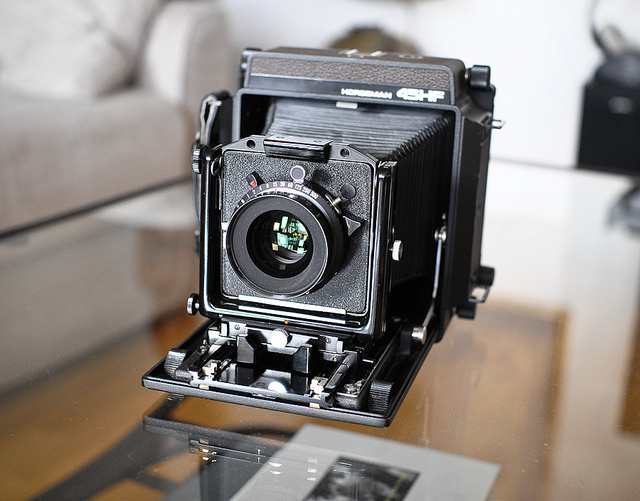 Recently, I have acquired a « light » view camera, 4×5″. A Horseman 45HF with a 135mm Nikkor lens (equivalent to a 35mm lens on 24×36 format). I have only completed two portraits with it so I cannot give my opinion yet. It is very portable and light for a 4×5″ equipment (1.5kg) and offers all the movements I need for portraits and other types of photos I want to do with it.